Zhou Xun: Love interest steers Hu's direction ! Beijing-born filmmaker Ann Hu can hardly be faulted for her lack of ambition. For her 2000 directing debut, "Shadow Magic" (Xiyang Jing), she pulled off a major international co-production. For her comeback, she may have done even better. After 10 months of post production in the United States and China, Hu's new film "Beauty Remains" (Meiren Yijiu) is almost ready to release in China. The film is publicized as a traditional Chinese tale with a decidedly American indie look which pushes the boundaries of foreign-language cinema. The film was shot in Beijing and Qingdao last year. With an investment of at least US$5 million, it is a co-production by Beijing-based China Film Group, Emerging Pictures and Media Asia Inc of the United States. Hu is backed up by a strong production crew for the film, which is co-produced by Hu and lra Deutchman, independent film pioneer who created Fine Line Features and has been making, marketing and distributing films for over 25 years. Executive producer of the film is Han Sanping, president of China Film Group, the largest film studios group in China. Similar to the East-West hybrid nature of the production team, the colour feature film is a unique collaboration between creative talents from the United States and China, Hu claimed. The screenplay is co-authored by American writers Beth Schacter and Michael Eldridge, and Chinese playwright Wang Bin, whose works include "To Live" (Huozhe), "Hero" (Yingxiong) and "House of Flying Daggers" (Shimian Maifu). 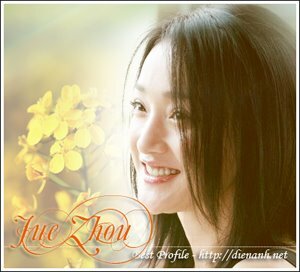 The film stars famous Chinese actors and actresses including Wang Zhiwen and Zhou Xun. Other notables in the cast include Los Angeles-based Vivian Wu and Lisa Lu. The film was shot by cinematographer Scott Kevan and was designed by Carol Wells from New York, and Feng Ligang and Chen Fei from Beijing. Set in 1948, "Beauty Remains" is the story of two sisters - Fei and Ying - bound together by the will of their late father, a legendary business entrepreneur, and their shared love for a charismatic casino owner, Huang. These are two women whose paths have been dictated by the often cruel decrees of the men in their lives - two women who must somehow transcend that influence or lose everything. The film is scheduled for release around Valentine's Day, 2005, in major cinema circuits in cities like Beijing and Shanghai. "The film is not just a feast for the eyes. For people aged 35 and over, the film may offer some food for thought about love. For younger audiences, the film may give them some inspirations of how to better deal with a love relationship," said Hu, sitting in a traditional wooden armchair in her residence, nestled in the quiet, labyrinthic hutong near the Shichahai Lake in downtown Beijing. Hu said that, compared with her work with "Shadow Magic," "Beauty Remains" is better rendered in terms of techniques, production and business operation. Hu admits that "the new film is a tougher one to make as it deals with a more elusive, complicated theme." "I like the film story very much. When I first touched it, I found it not so easy to handle. But the more I thought about it, the more I explored the subject, I gradually found self-confidence in visualizing the subtle feelings of the women protagonists and their elusive lover," she recalled. "It is a cruel, love story. I try not to use the word tragic. The film has nothing to do with my own experiences but it reflects in some way my understanding of love," she claimed. "The film is shot for both those in love for the first time and those who have lost their love. On the surface, a love triangle is a cliche found in too many films and TV dramas. But it seems that the audiences are never tired of being seduced and intoxicated by a well-crafted cliche of romance. I want to try my luck on this tired topic and hope to dig out something different," she said. The film may give the viewer a nostalgic feel. But it offers something different from other films in the genre. The way the story unfolds is not traditional. To make it suitable for both the home and international markets, Hu invited script writers from China and the United States to ensure that the film "offers something fresh for both Chinese and international audiences." The film is at first glance flashy and colourful, considering such elements as its settings, shooting angles, costumes and the film score. Hu said: "It has strength deep within that really touches the heart of the audience." But Hu admits women may find it easier to relate to the film than men. She insists that "although 'Beauty Remains' is a real international production, it remains a Chinese movie at its core. Not like the made-in-Hong Kong romance 'In the Mood for Love' (Huayang Nianhua) of director Wong Kar-wai." To avoid the "aesthetic fatigue," the film has had several test screenings in the United States for improvement before the final cut was decided, Hu said. 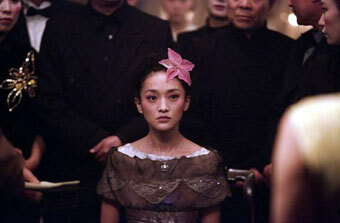 The key role, Fei, played by Zhou Xun, is depicted as the illegitimate daughter of Master Li and a maid in the influential household. Having long been outcast and grown up in hard times, Fei still keeps her youthful beauty - and managed to hold on to hope. She dreams of someday rising above her grinding poverty. Ying, played by Vivian Wu, is Master Li's daughter and eventual heir of the family fortune. When forced to invite her disgraced sister, Fei, back to the household and share the family wealth, Ying is enraged. A spoilt Ying assumes that Fei won't be a threat to her. After all, the daughter of a maid is no match for Ying's cool and sophisticated beauty. But there may be one complication she did not count on. Huang, played by Wang Zhiwen, is portrayed as a handsome and self-absorbed casino owner. Though Huang and Ying have intended to marry for many years, their relationship has always been tumultuous. Now, with a fresh, young face in the household, Huang is forced to choose between a reckless affair that will tear apart the household and the love of another woman who has always enchanted his heart. "I am not trying to put blame on men in my movie. I am not making a clear-cut feminist statement. This is just a film about love, about the risks of being in love, and self-redemption of a Chinese young girl troubled by love," Hu said. "During the script development process, I always felt that Fei should have gained our sympathies easily. "But during the shooting, I struggled with Fei's character when she loses her innocence and hurts the ones that love her the most," Hu recalled. "Is she a good person? Are her actions justified because of her family history? Are any of us ever justified when we act upon our feelings and beliefs at the cost of others? I was torn between rushing to judge Fei and my feelings of compassion for her." The solution was not found until she had to shoot the last scene. "The lighting was dim, and though I couldn't see her face through the monitor, I could feel her laughter and tears. And at that moment, I knew that I had gained the emotional balance that I was looking for," said Hu. When asked about why she chose Wang Zhiwen, instead of other younger pop icons, for her film, Hu said: "I believe Wang fits best for the role. Just like the many keys of a piano, a good actor or actress has potentials they themselves may not know very well. The job of a film director is to spot and to tap these potentials for a new movie." The actors and actresses each have their own strengths and limitations. Only the right combination may bring life to something totally new for any of them, she said.